There have been times throughout recent history when central banks have become like mythological gods due to their ability to step into financial markets and "save us" from any further pain. 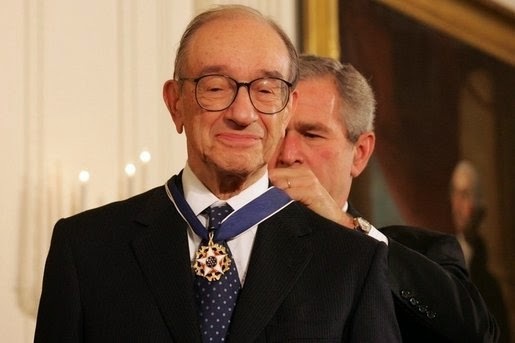 A period of central bank worship occurred in the late 1990's following ten years of Greenspan intervention. Then it arrived again in the mid 2000's following seven years of larger scale Greenspan intervention, and it is now occurring again following seven more years of unprecedented Bernanke/Yellen intervention. What is forgotten during times like this is the future consequence of such of actions. We experienced a collapse in 2000 and 2008, and the next hangover will be far more painful than what occurred in 2008; it is only a question of how long they can delay its arrival. The economic policies central banks and political leaders follow today are based on the perceived "mistakes" that took place during the Great Depression of the 1930's. The firm belief among those making today's multi-trillion dollar policy decisions is that leaders during the 1930's did not do enough, which led to the unnecessary pain that occurred during that period. There was a another depression in 1921, a forgotten depression, that is never mentioned or studied in the tomes of history. 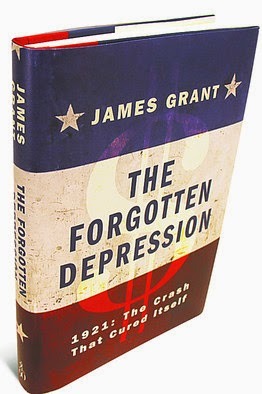 Jim Grant has written a new book titled "The Forgotten Depression" that I will definitely be reading over the coming holiday season. In it, he describes how leaders stepped away from the markets and allowed them to cleanse. It created a horrible recession that lasted a short period of time. Assets prices declined sharply and the malinvestment was removed from the system. With a firm foundation in place, the global economy then went on to have one its best decades of real growth in history. 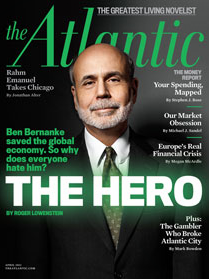 He is asked in the brief interview below, "what would have happened if Bernanke did not step in to save the markets in 2008?" Of course, we will never know. However, we know that 7 years later the global economy is still in stagnation with high unemployment, falling wages, and a far higher cost of living. While the 1% have improved dramatically, the 99% have experienced a decline in living standards. Perhaps we will finally realize after the next global financial crisis that the best way to stop bubbles from bursting is to not blow them up in the first place.